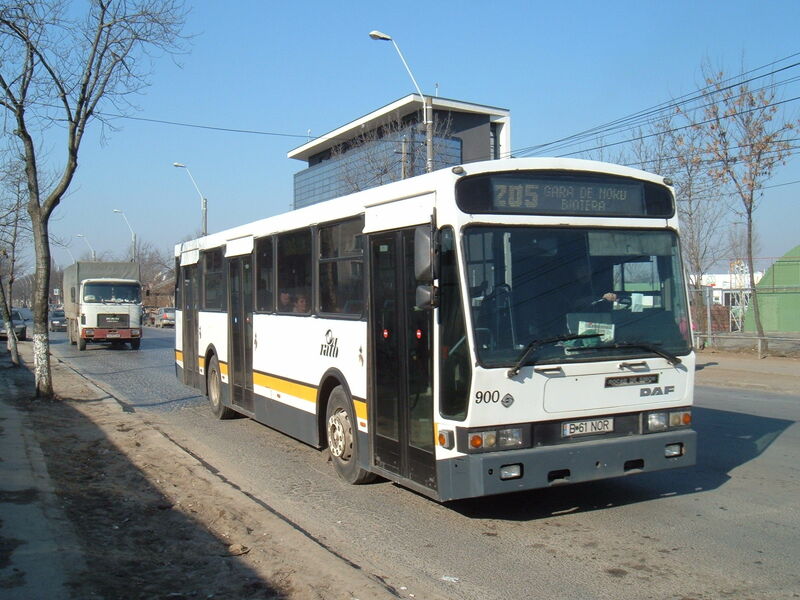 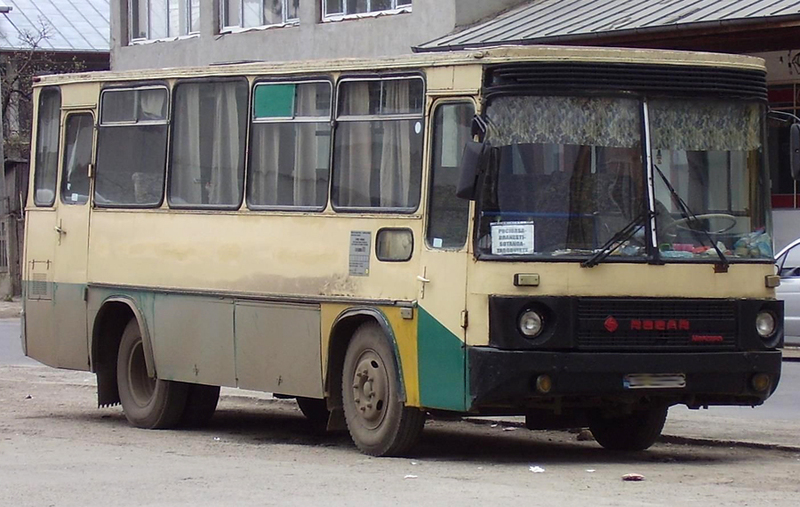 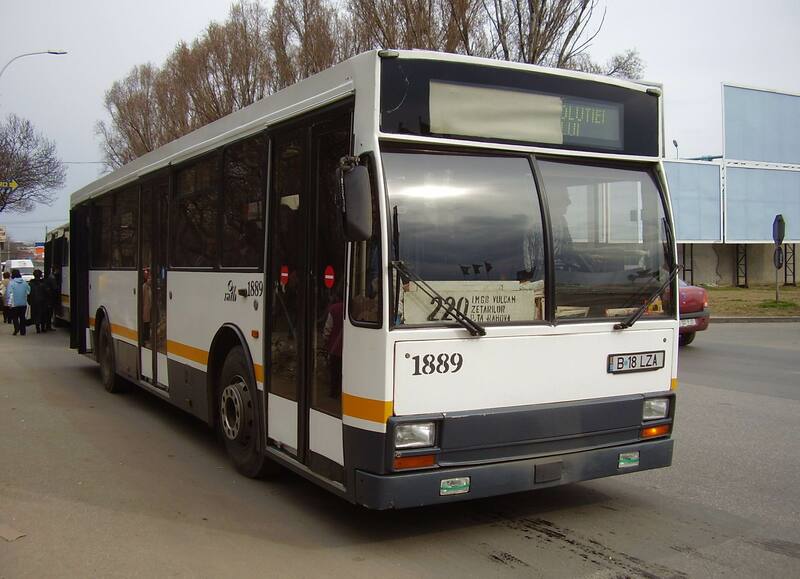 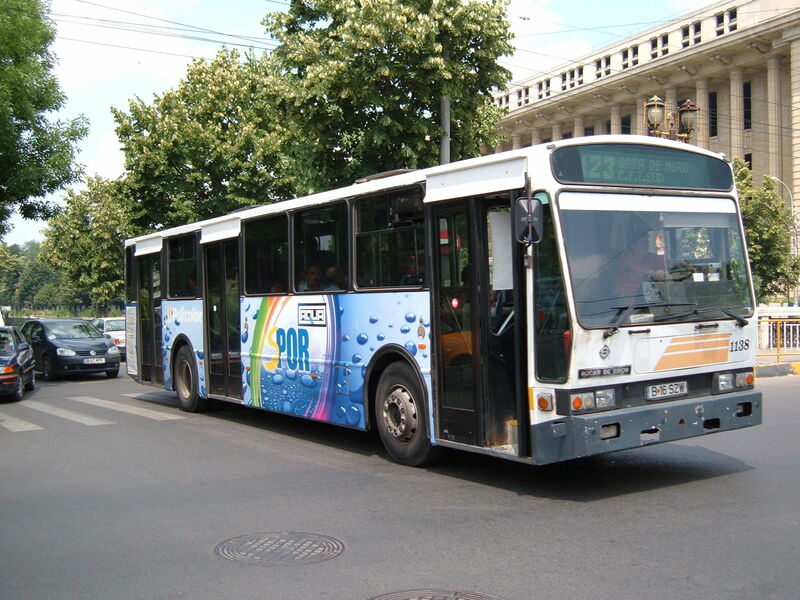 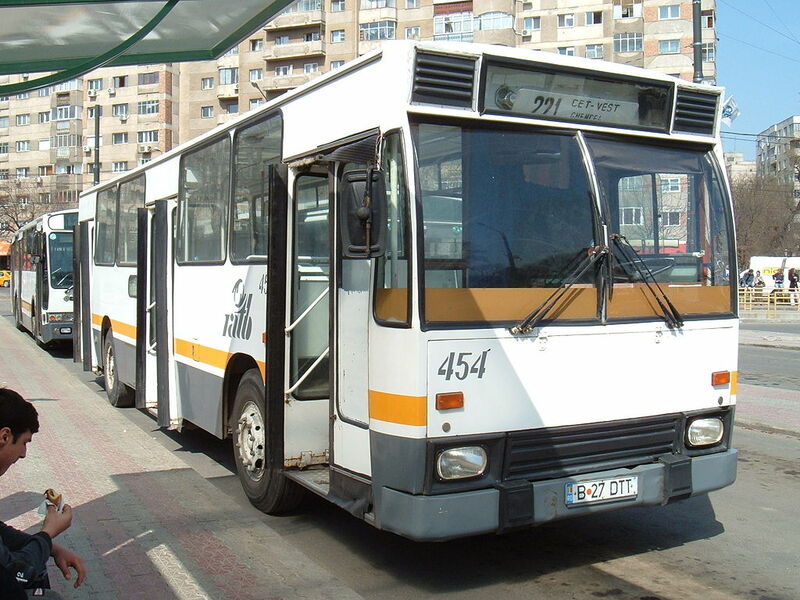 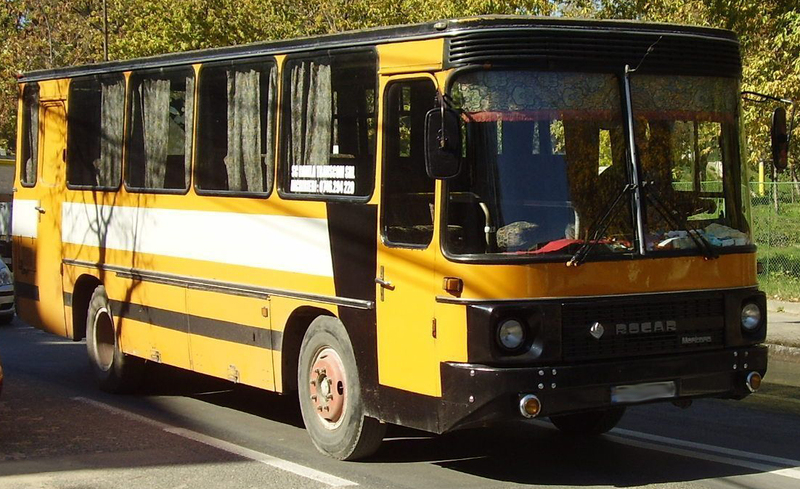 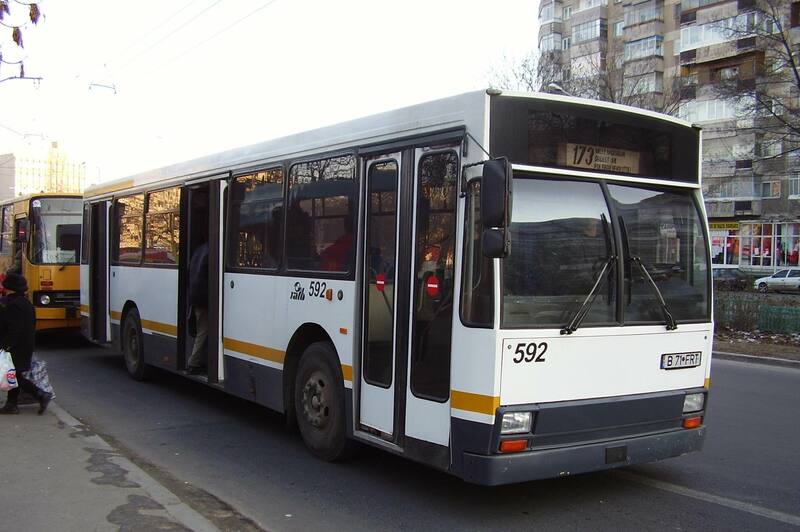 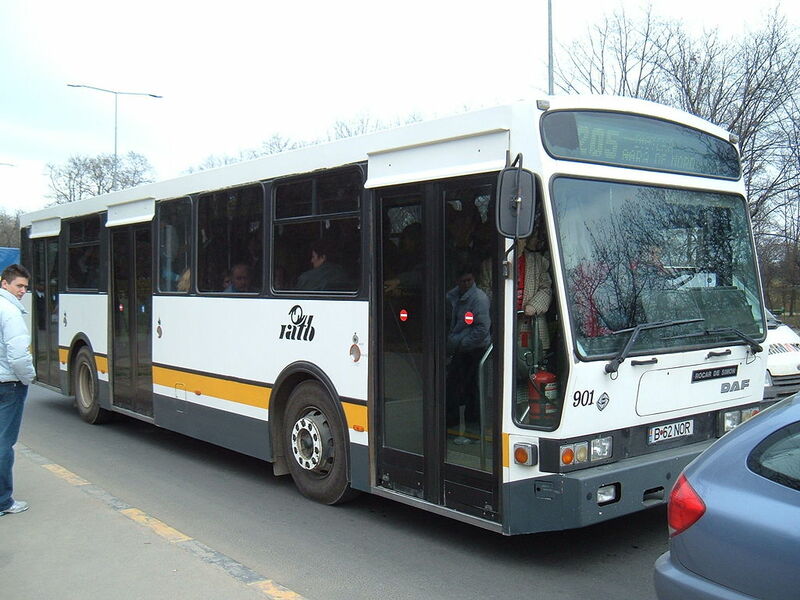 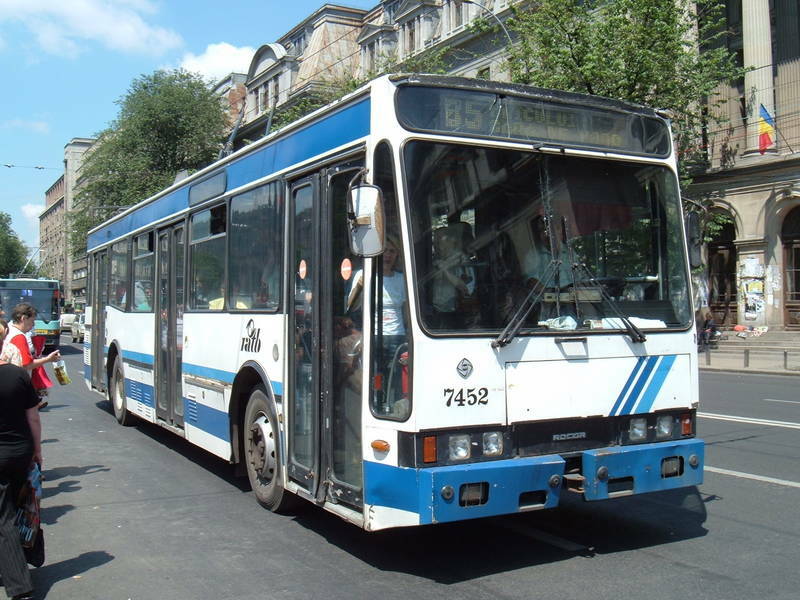 Rocar DAC 112 UDM bus in Bucharest, in the 1996-2006 RATB livery. 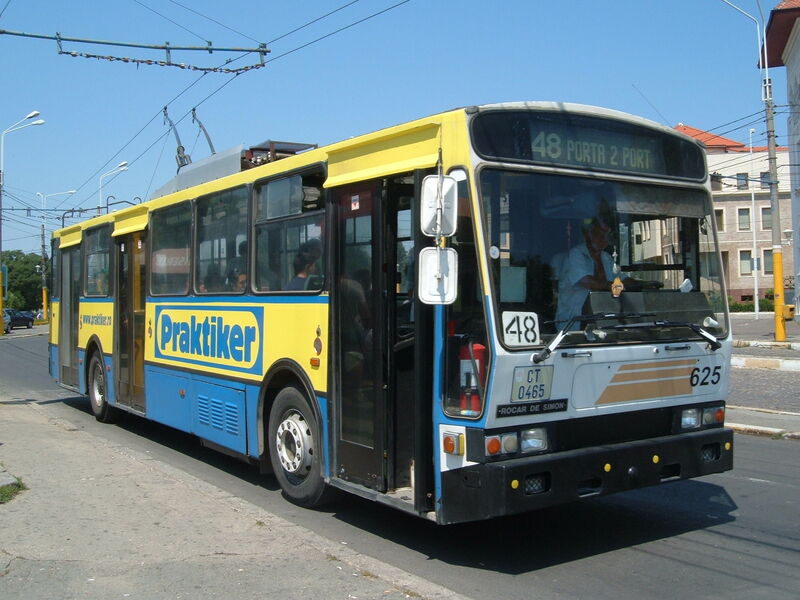 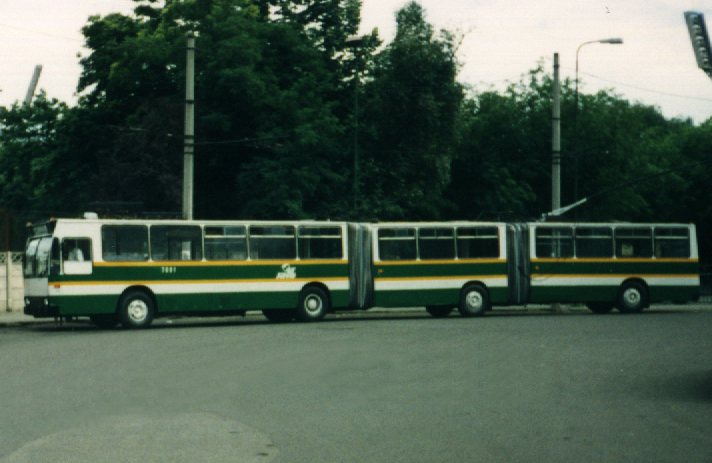 RATB was the main operator of such buses in the late 1980s and early 1990s, with over 500 buses and 100 trolleybuses. 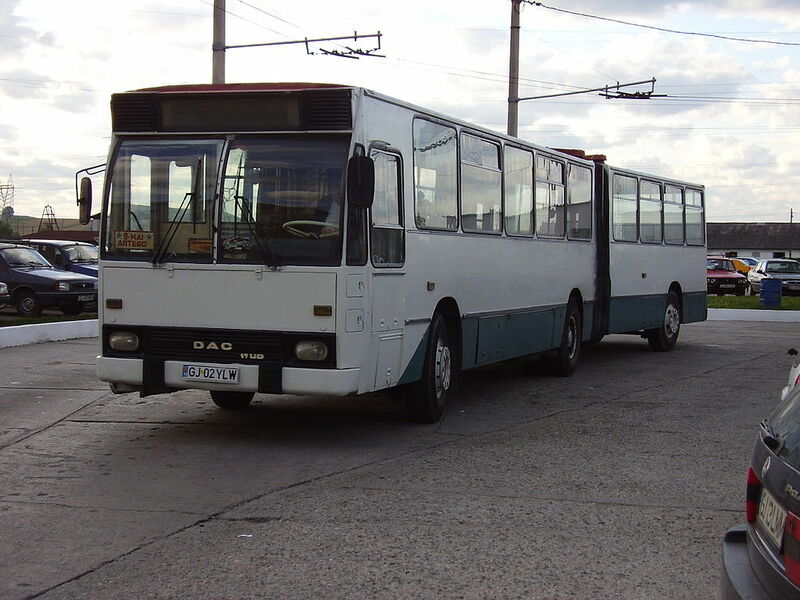 No Rocar DAC vehicle is still present in the RATB fleet. 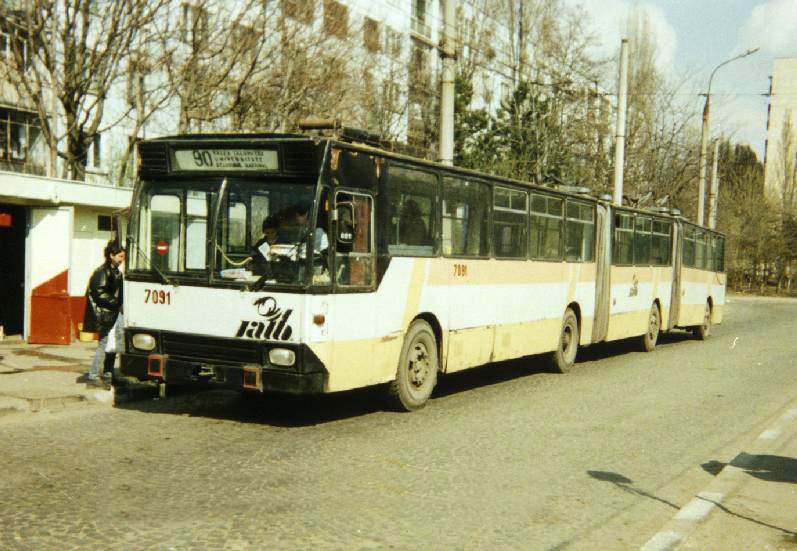 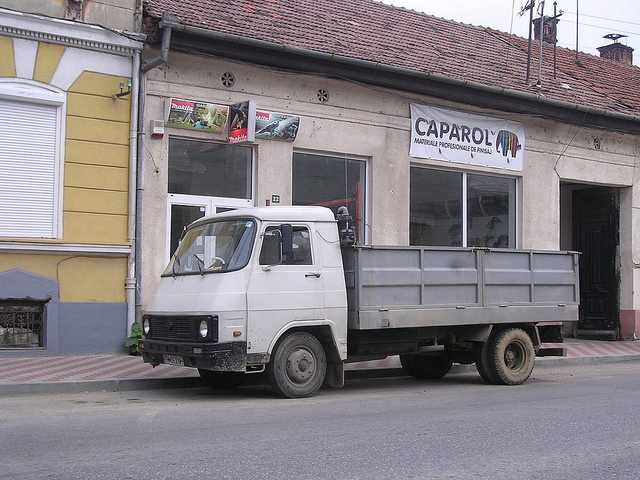 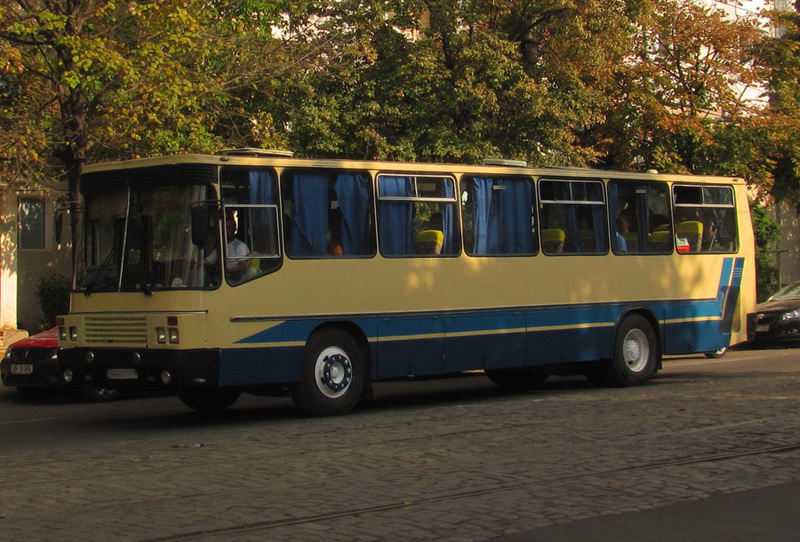 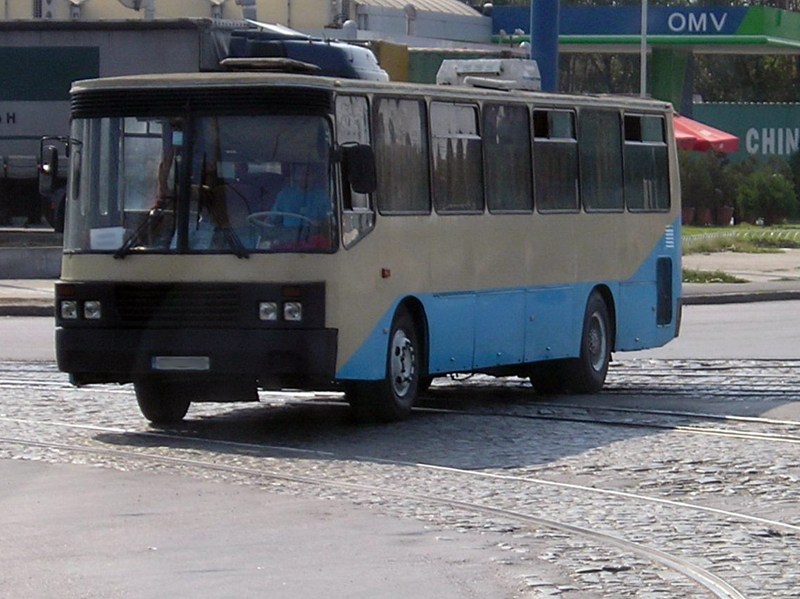 A Rocar 117 UD bus in Târgu Jiu. 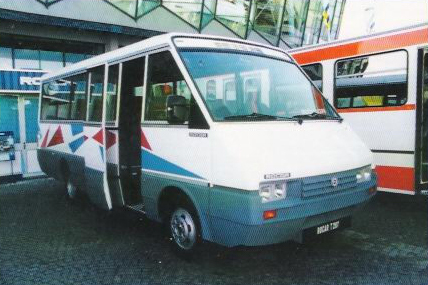 It was built in 1996. 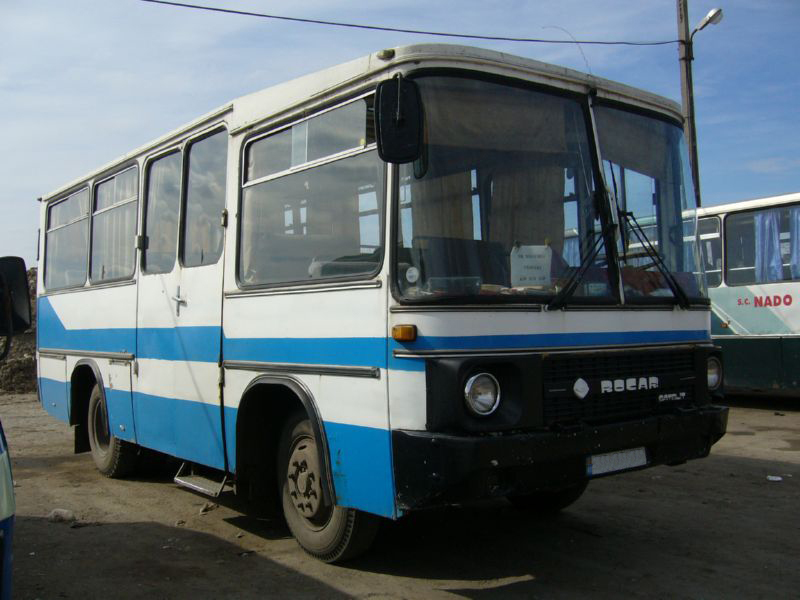 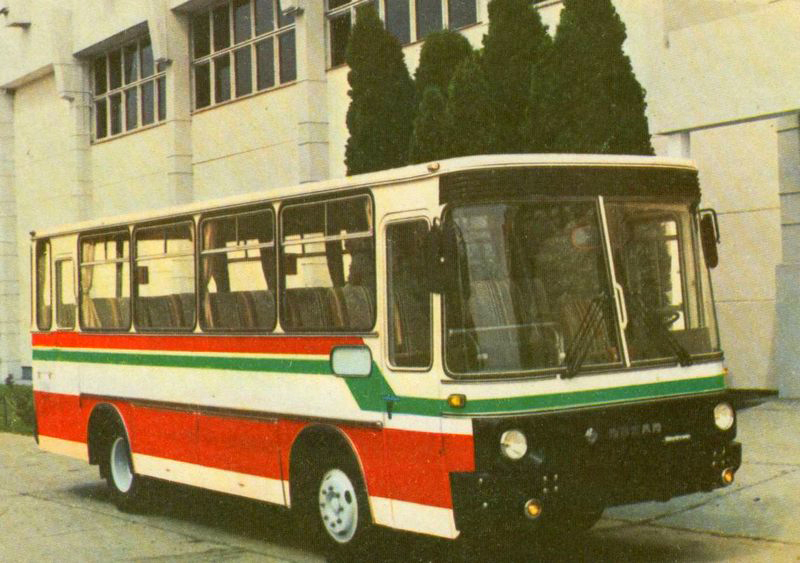 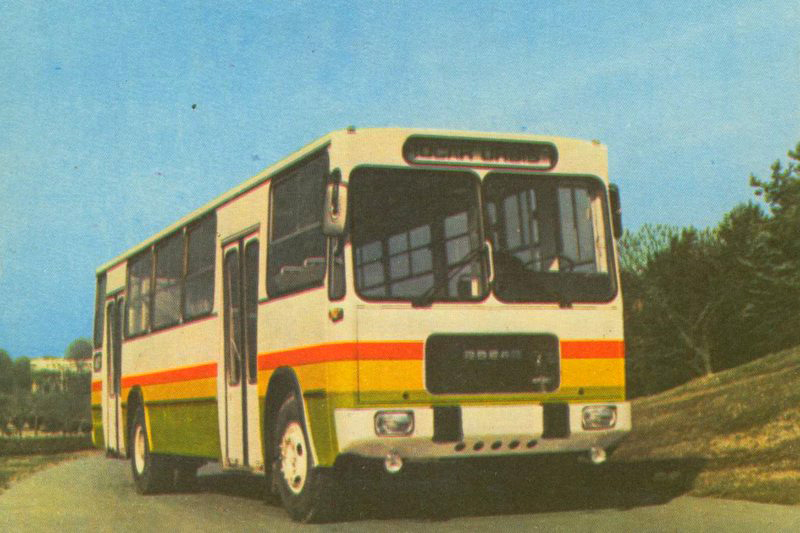 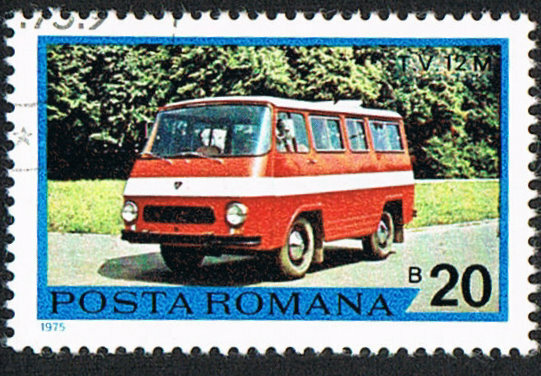 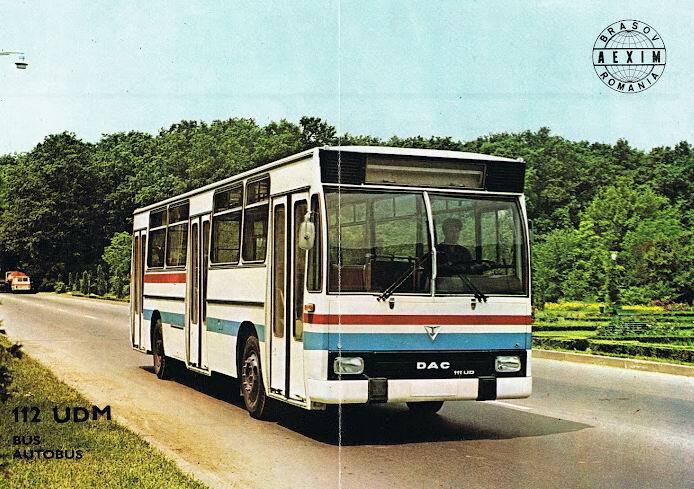 Rocar DAC was a series of buses and trolleybuses produced by the Autobuzul (later Rocar) company of Bucharest, Romania, between 1979 and 2000. 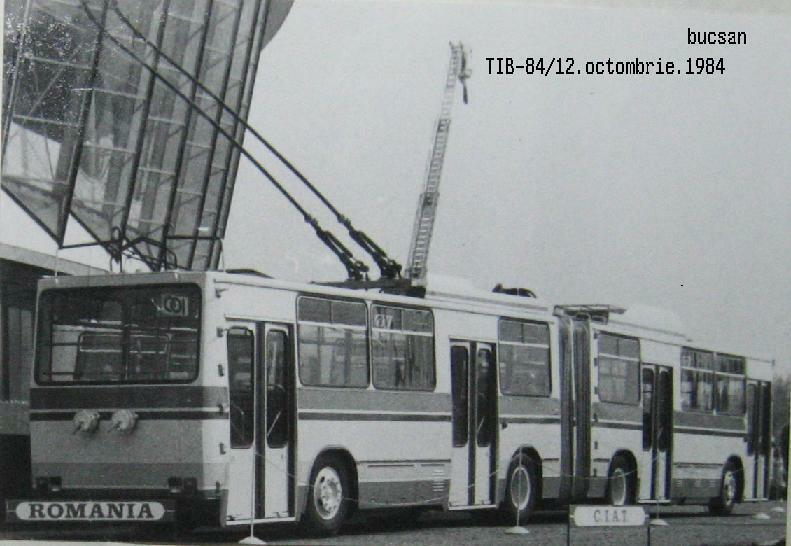 They were available in both standard (non-articulated), 12-meter models and articulated, 17-meter models. 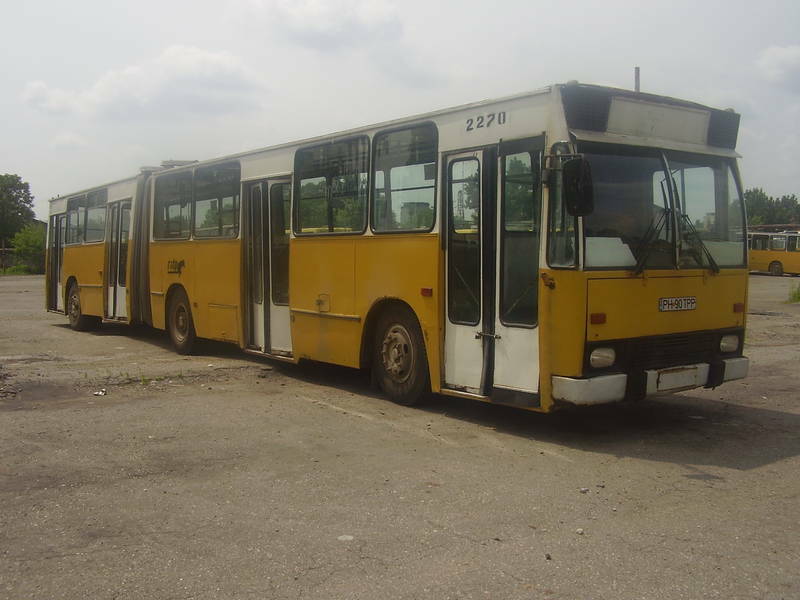 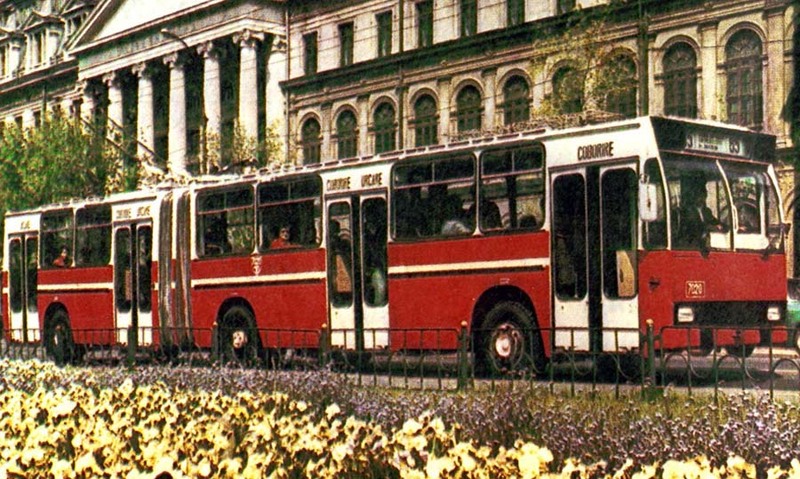 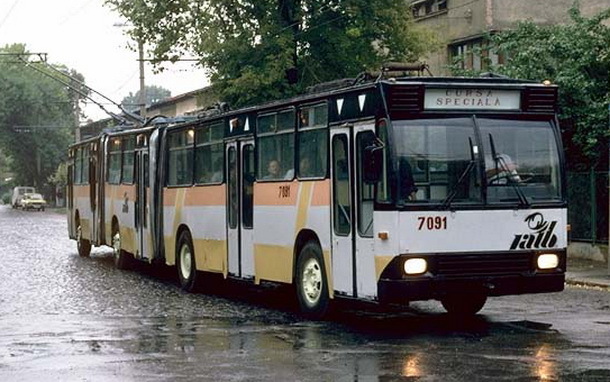 For much of the 1980s and early 1990s, these buses and trolleybuses were the backbone of the urban transportation network of Romania since, throughout the 1980s, public transportation companies were not allowed to import any type of vehicle. 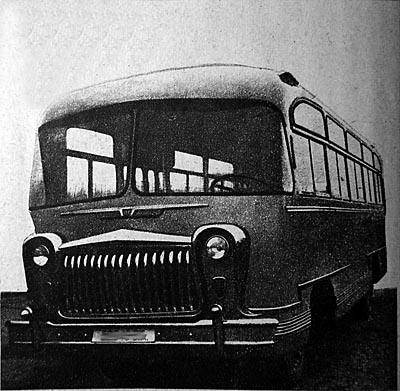 The buses were designed and built in a period of severe shortages, the main emphasis being put on economizing material usage and simplicity of the design. 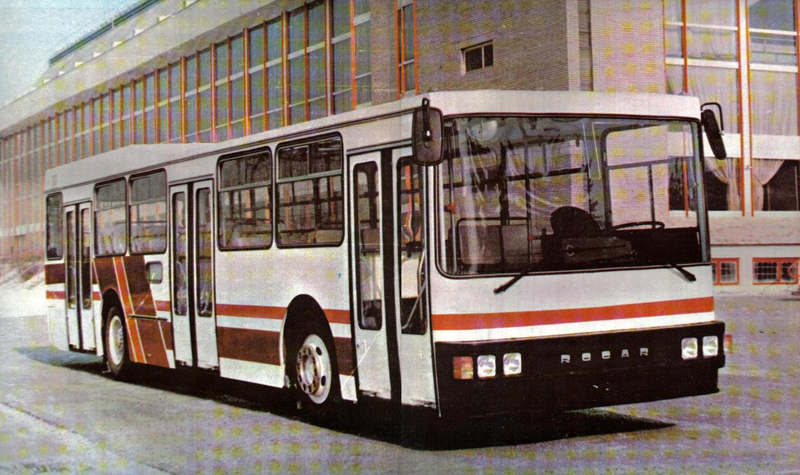 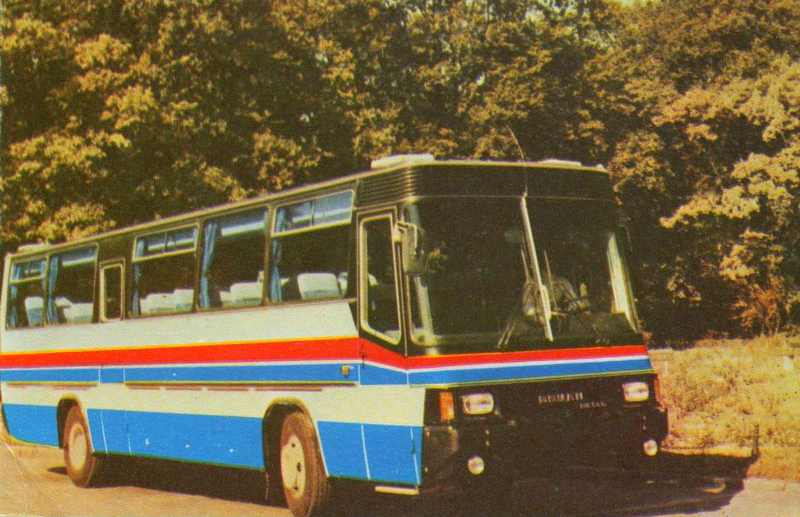 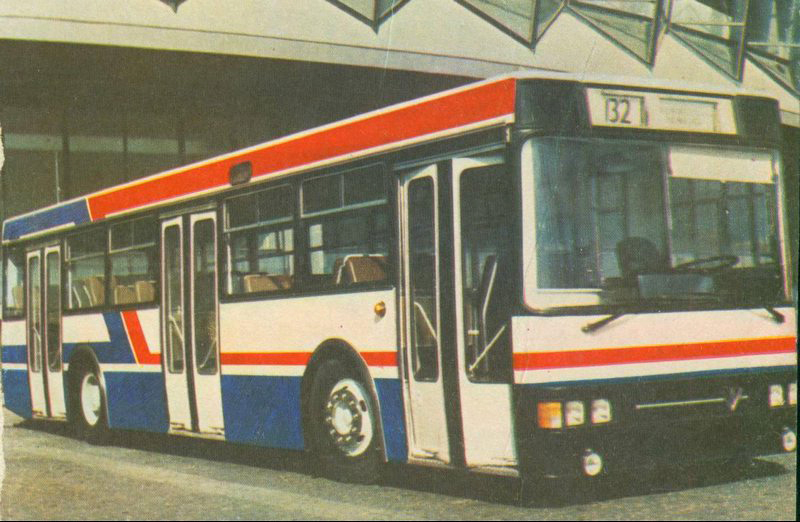 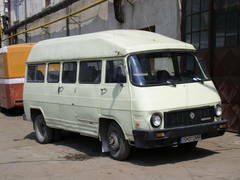 Most buses of this type did not have power or assisted steering, and only a small number of buses, built in the early part of the project (1979-1982) employed automatic gearboxes. 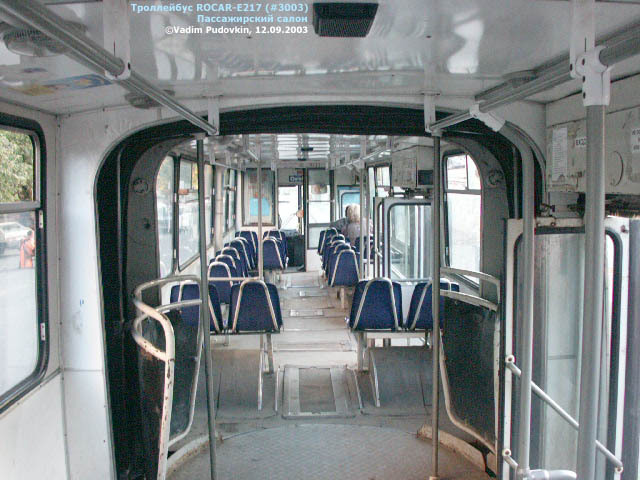 The passenger area was also very spartan, having no interior sound or display systems, seats being built out of plywood, light fixtures being 6-8 small 12-volt light bulbs providing insufficient lighting. 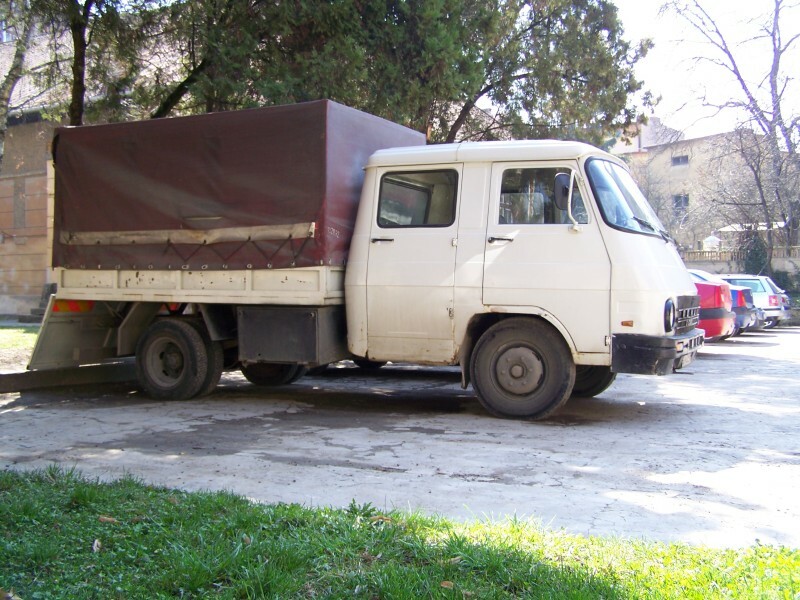 During the late 1980s, some were converted to run on methane gas, by installing two or three gas tanks on the roofs. 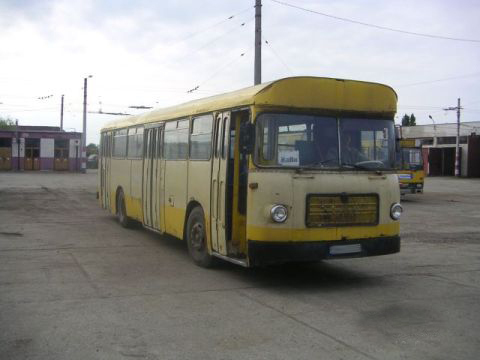 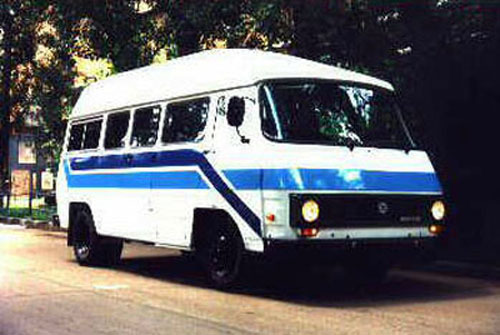 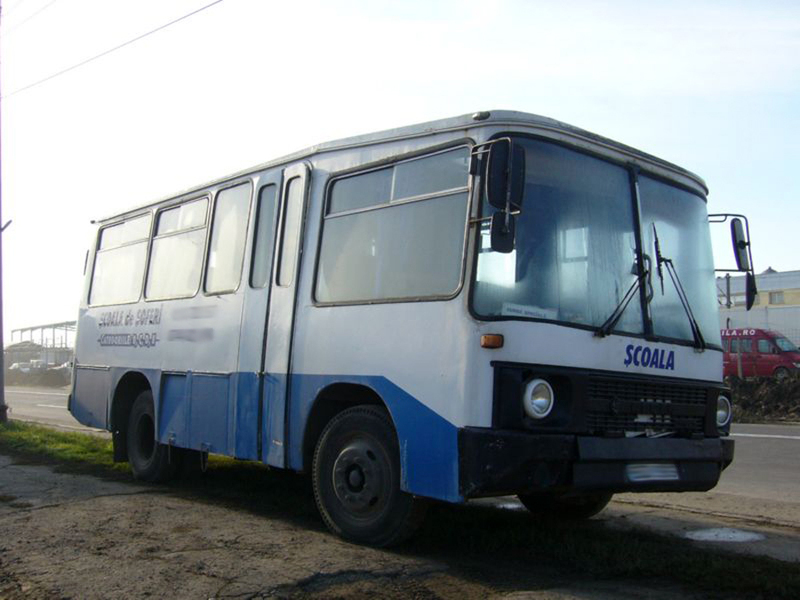 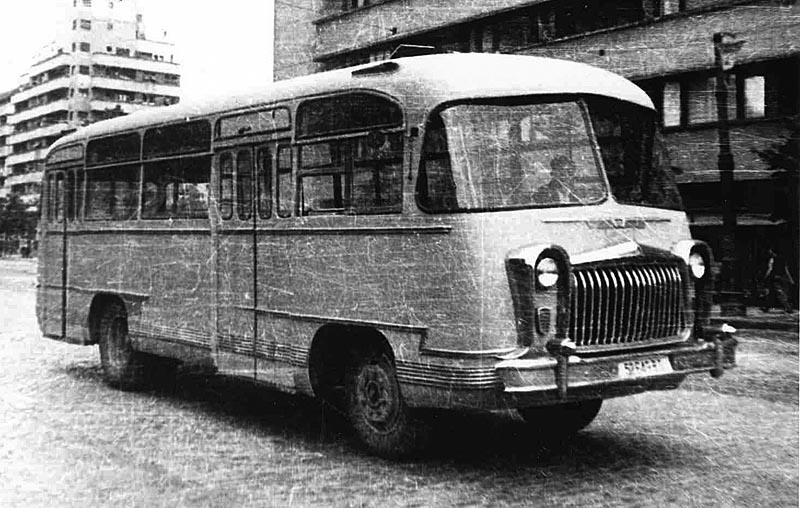 After the fall of the communist regime, the buses were converted back to diesel. 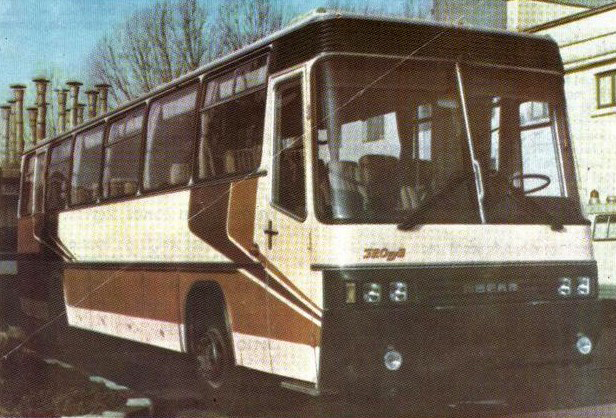 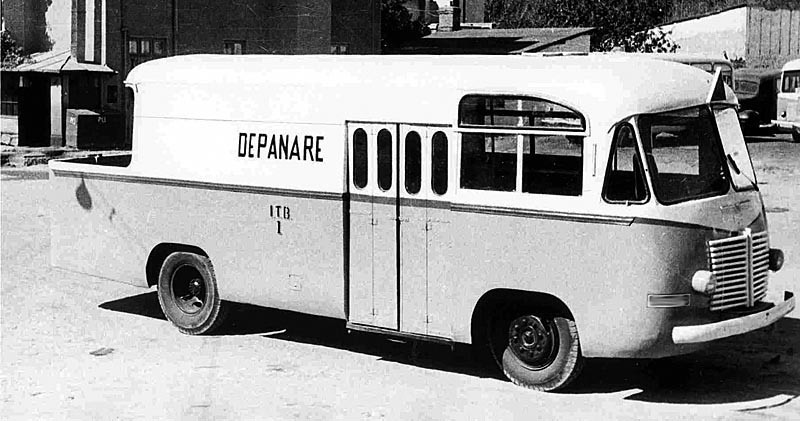 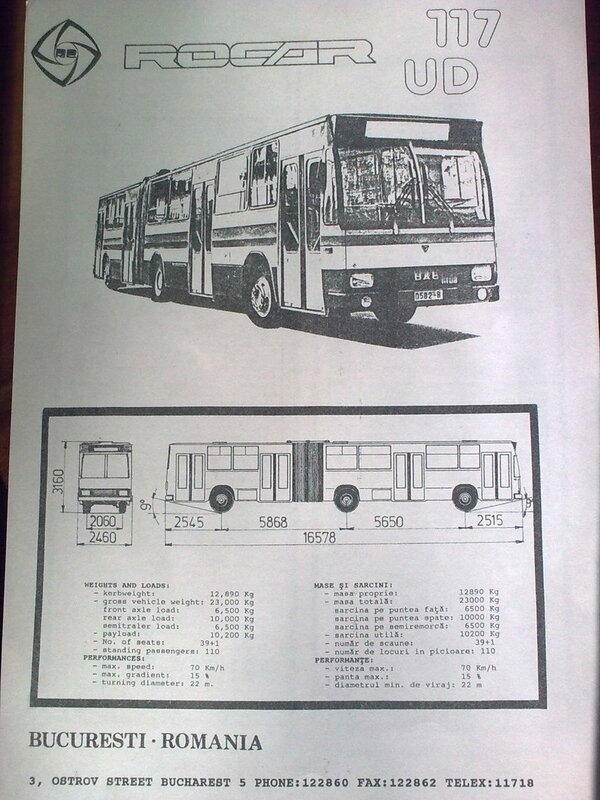 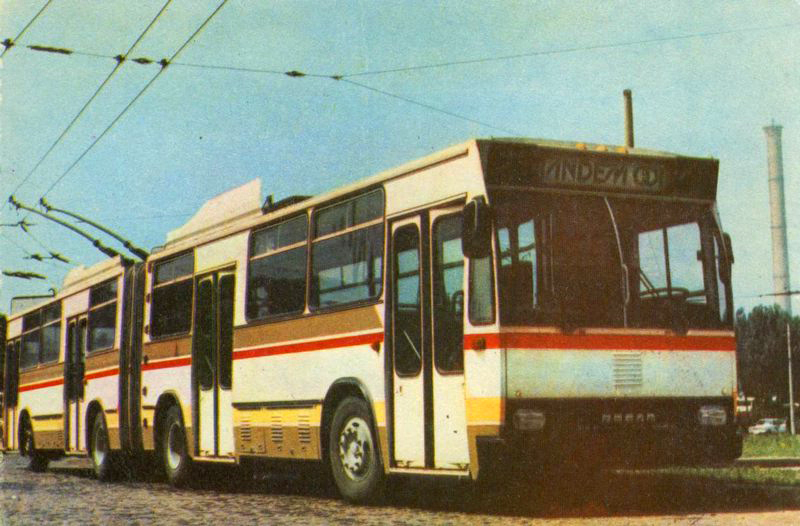 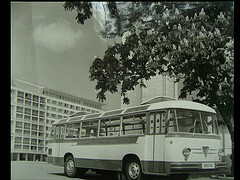 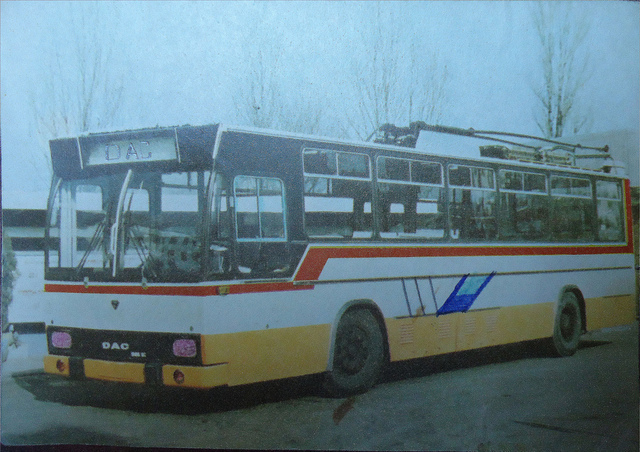 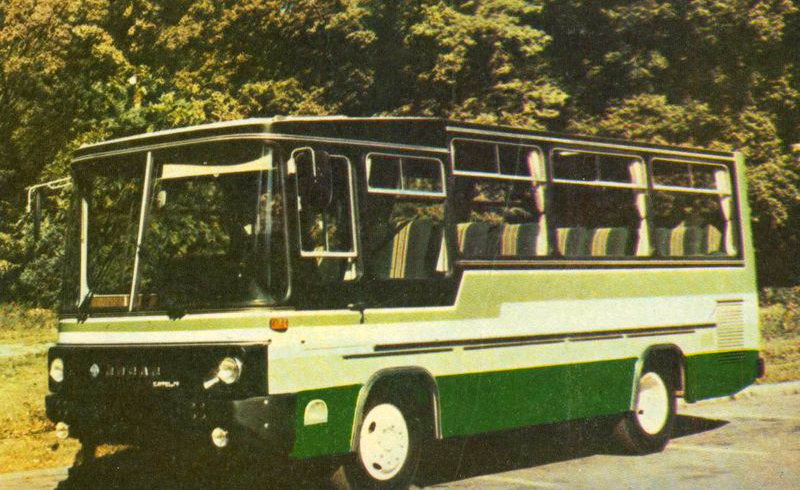 DAC buses were equipped with Hungarian RABA-MAN engines, or with Romanian IABv engines capable of 192 horse power DIN and a 4 or 6 gears gear box for a maximum speed of 65 km/h. 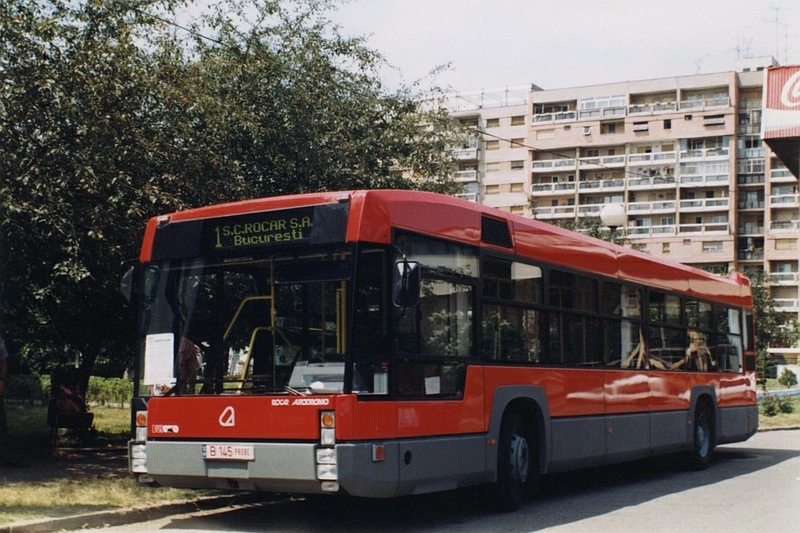 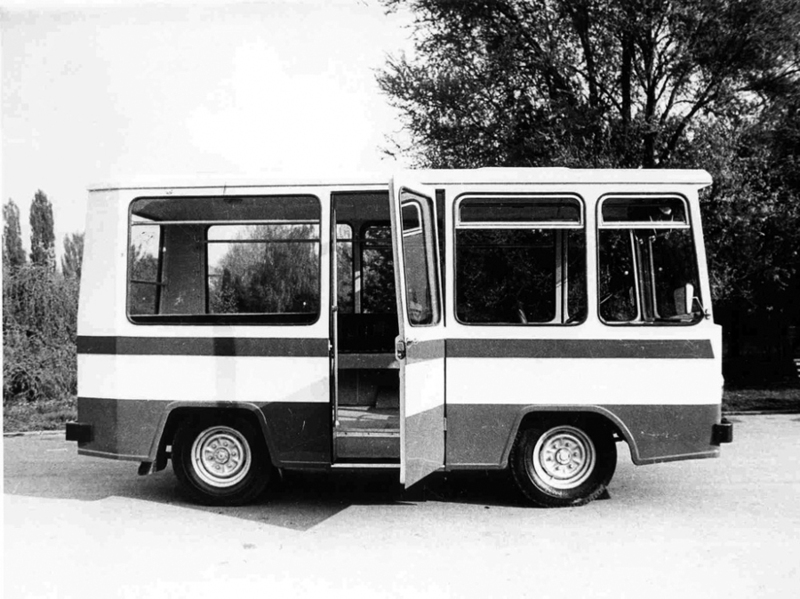 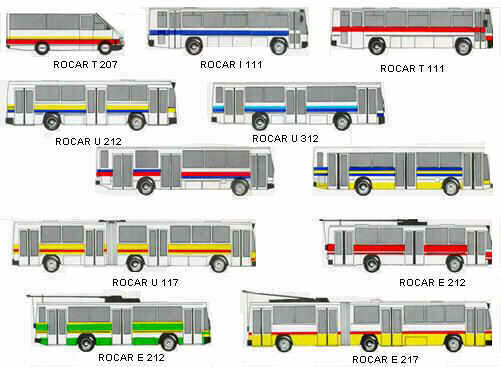 In 1996, Rocar began replacing the model line-up with the new Rocar De Simon range that was produced until the bankruptcy of the company in 2003 (however, Dac 112 UDM buses were built until 2000). 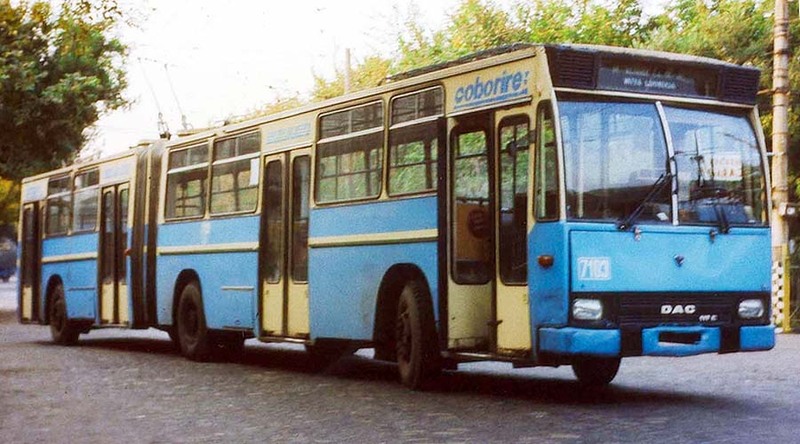 Most Rocar DAC buses have been withdrawn from service, and replaced with more modern buses. 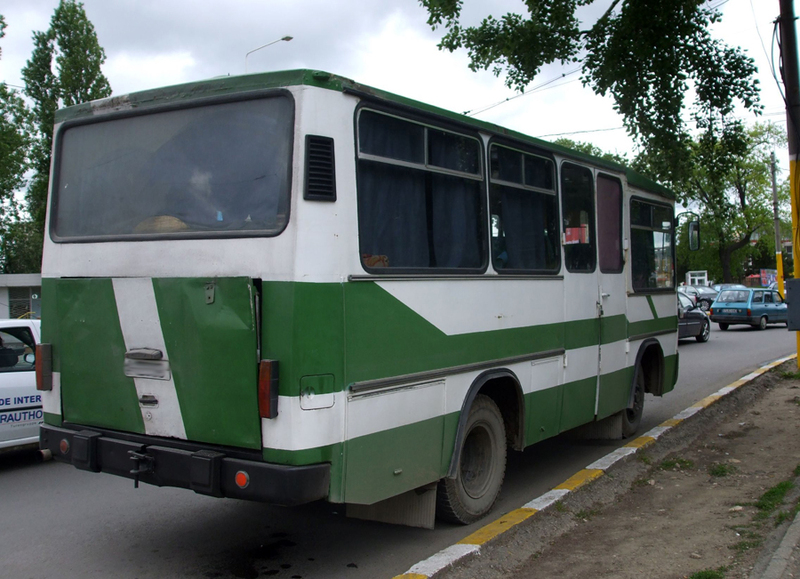 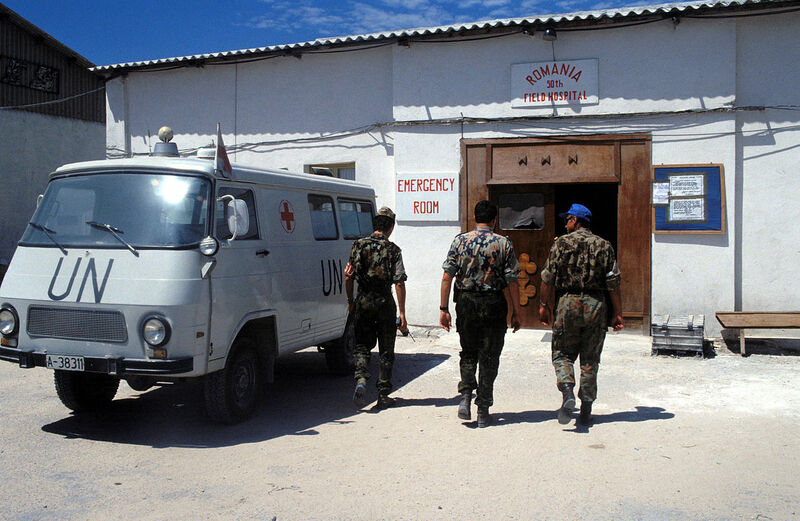 However, some survive with smaller transport companies, on some rural services and in small towns. 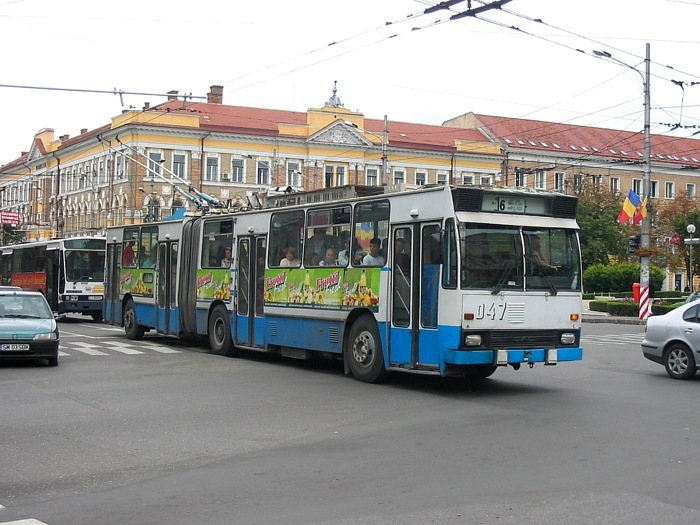 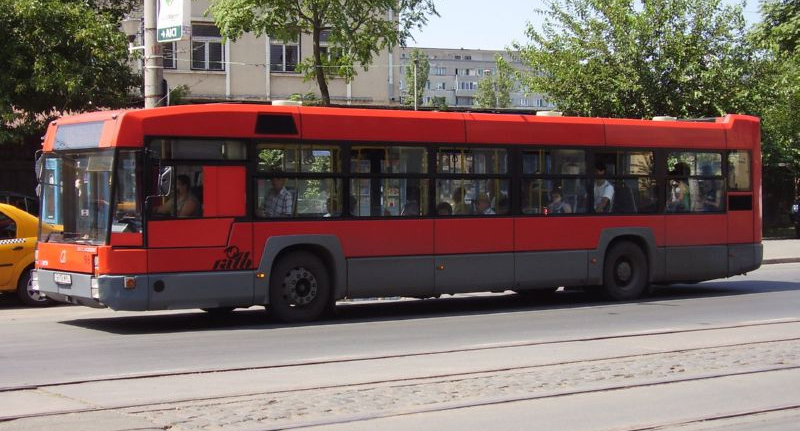 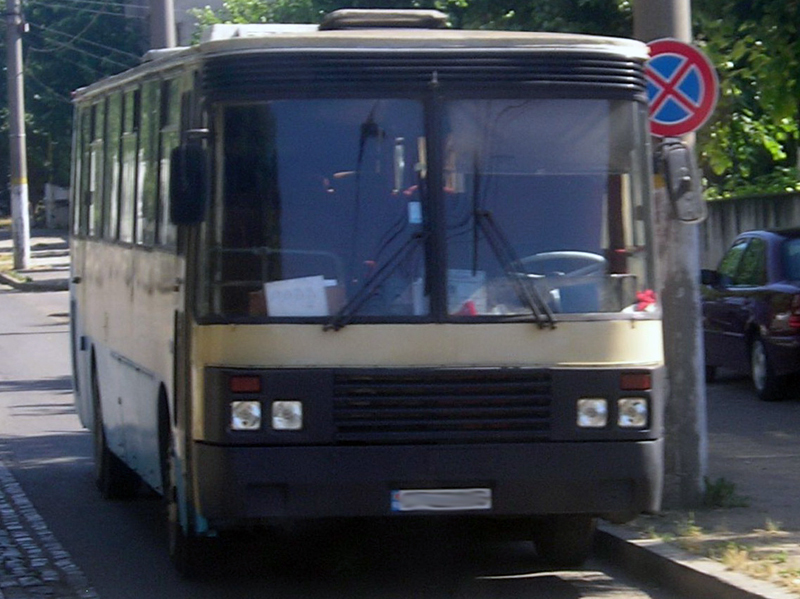 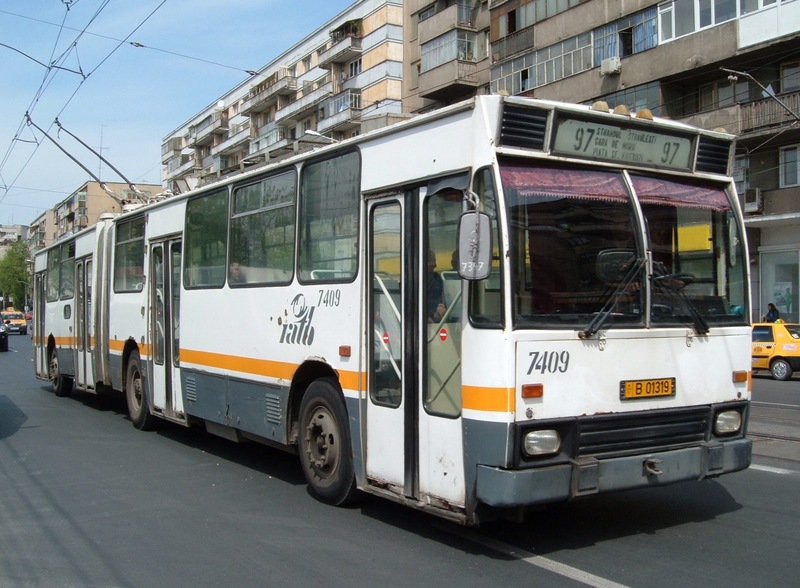 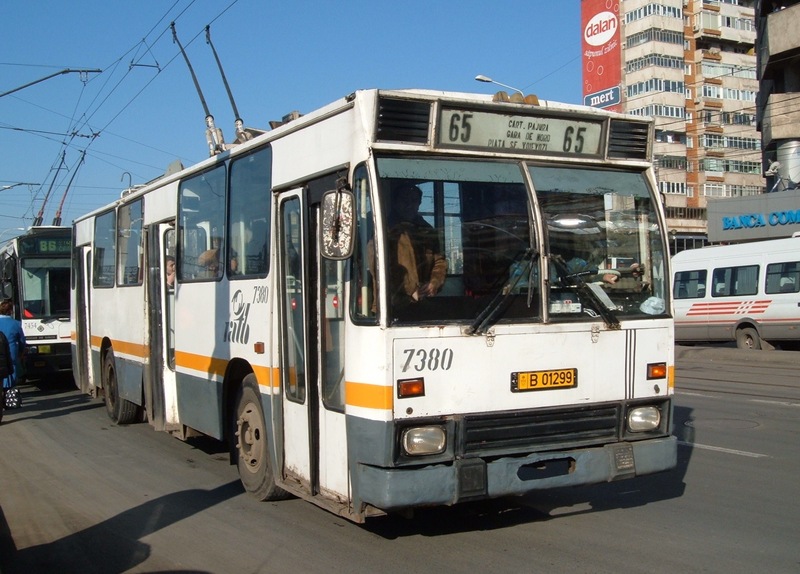 Trolleybuses, on the other hand, have fared better, because of the higher purchasing cost and lower wear-and-tear, and are still a common site in cities such as Cluj or Kiev. 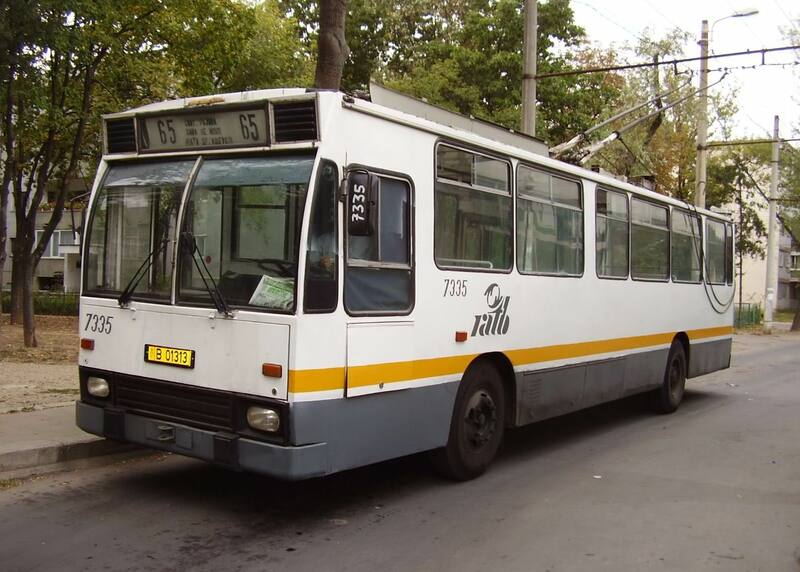 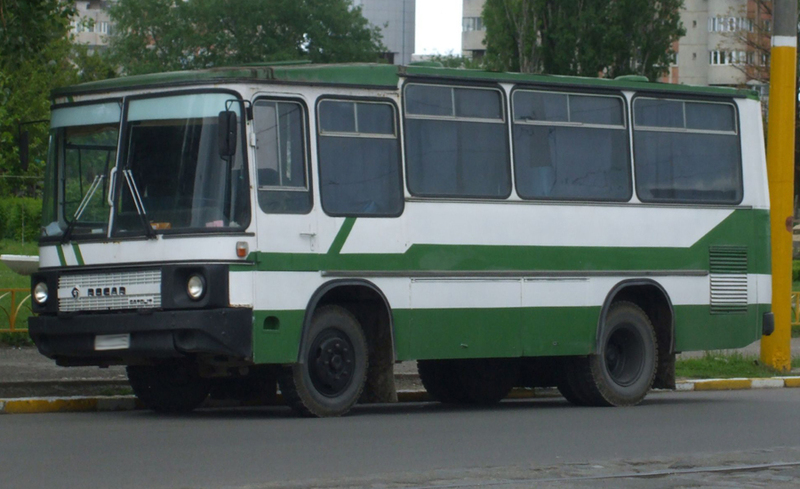 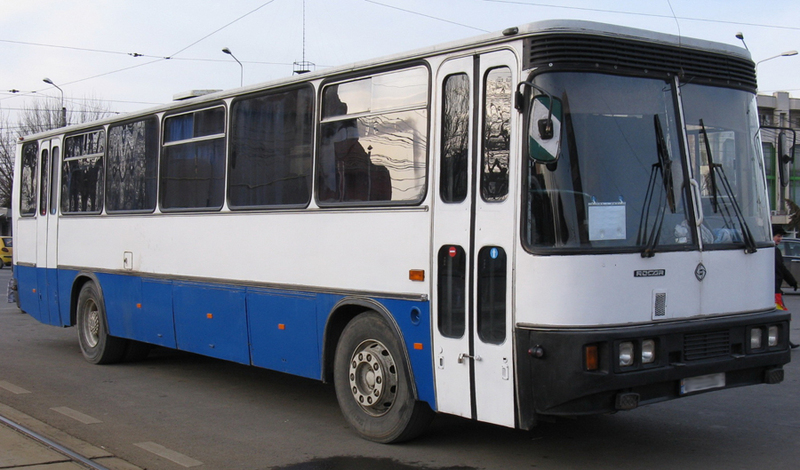 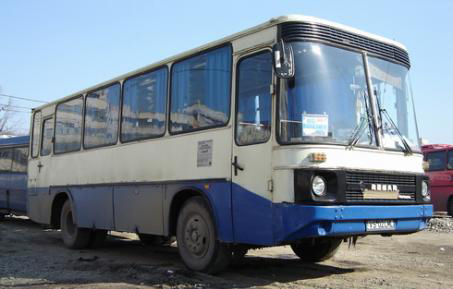 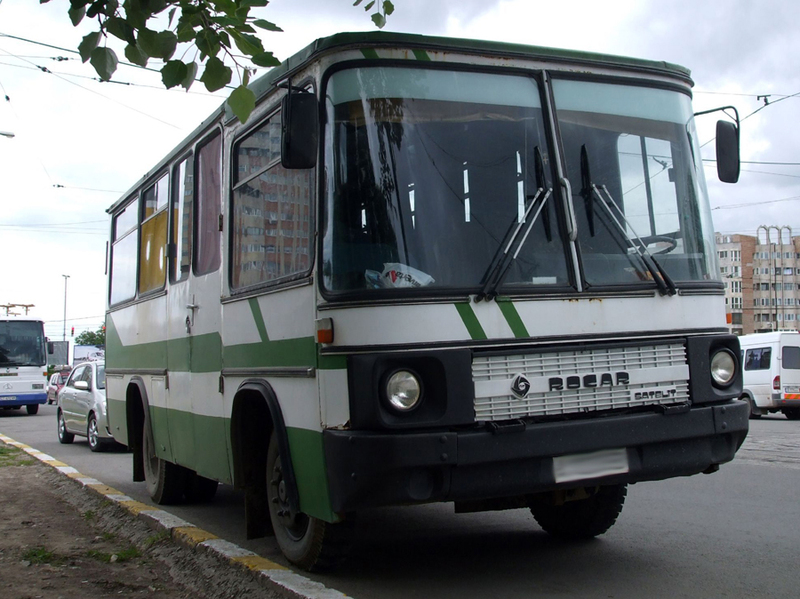 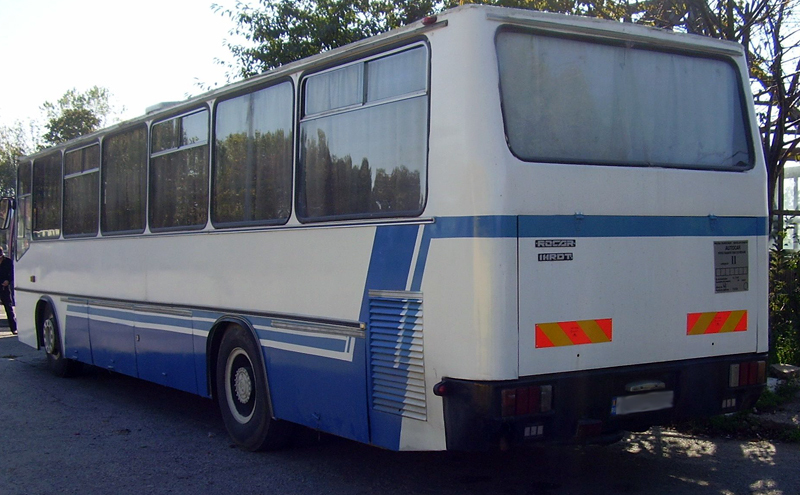 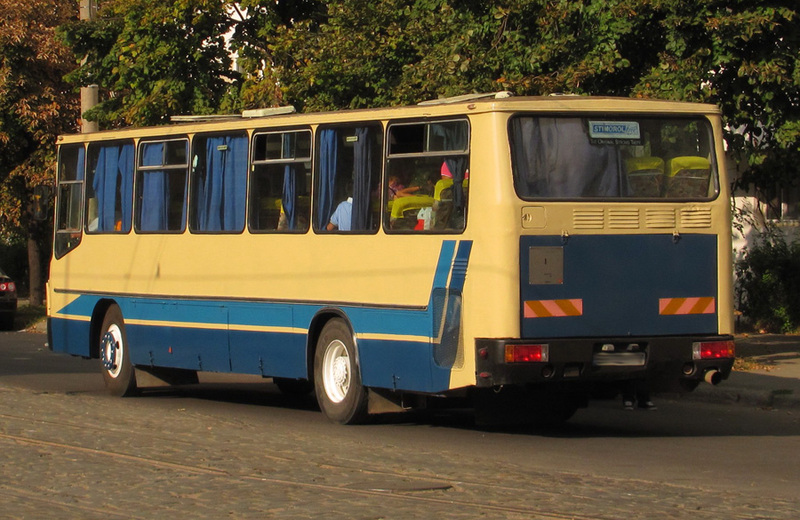 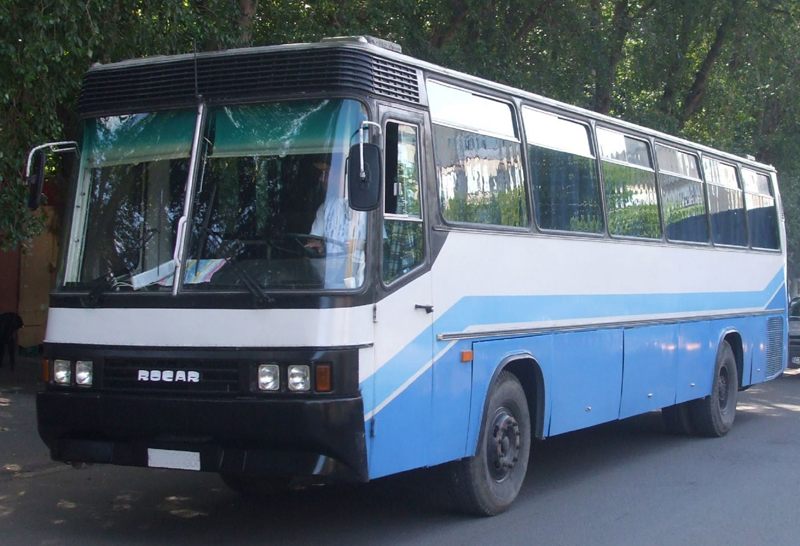 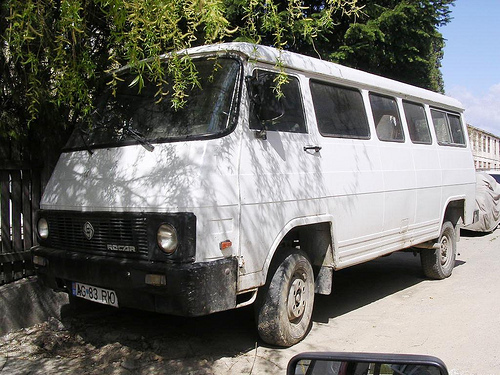 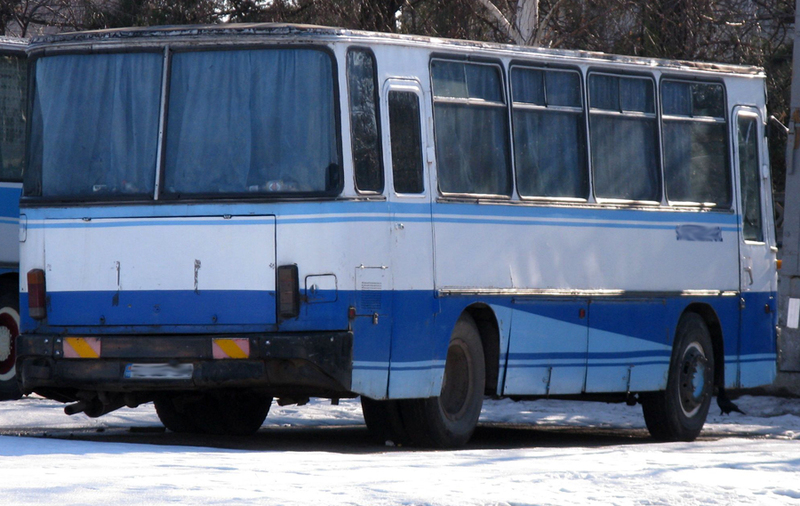 DAC 112 UDM – the standard 12-meter model, used for urban or suburban routes. 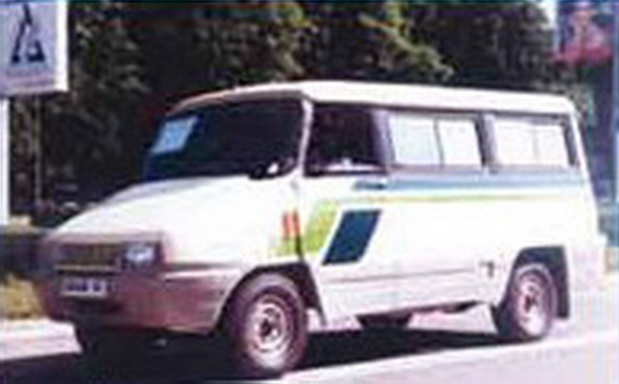 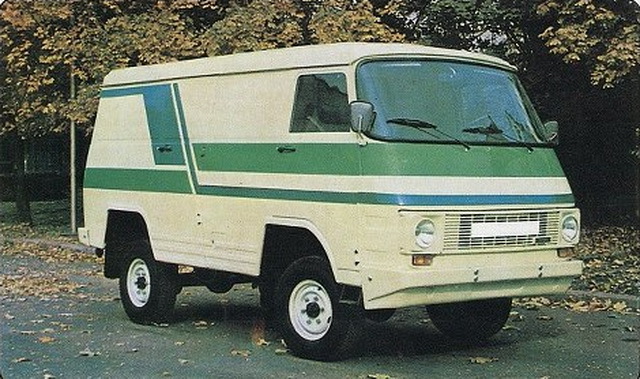 This was the base model for all later designs. 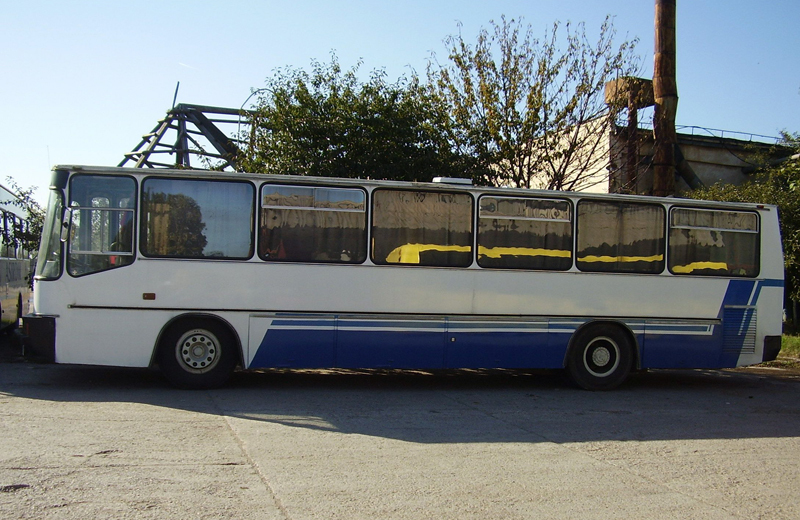 Available with two or three doors. 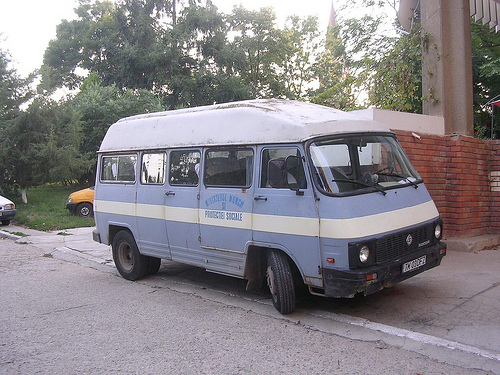 Built between 1982 and 2000. 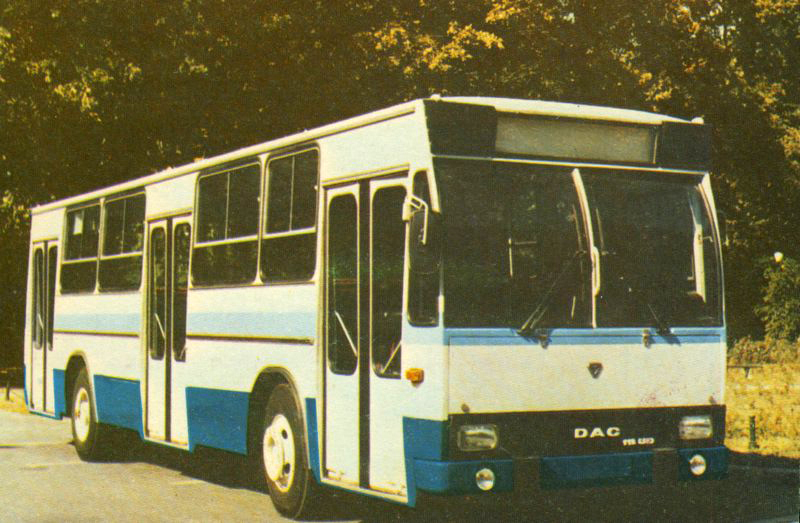 DAC 117 UD – the articulated, 17-meter model. 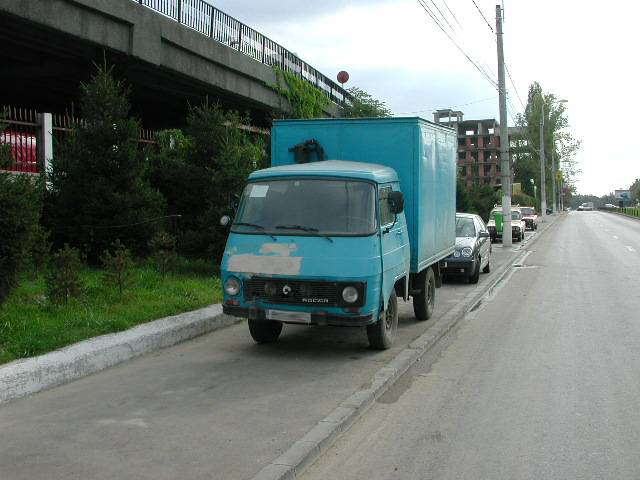 Available with two or four doors. 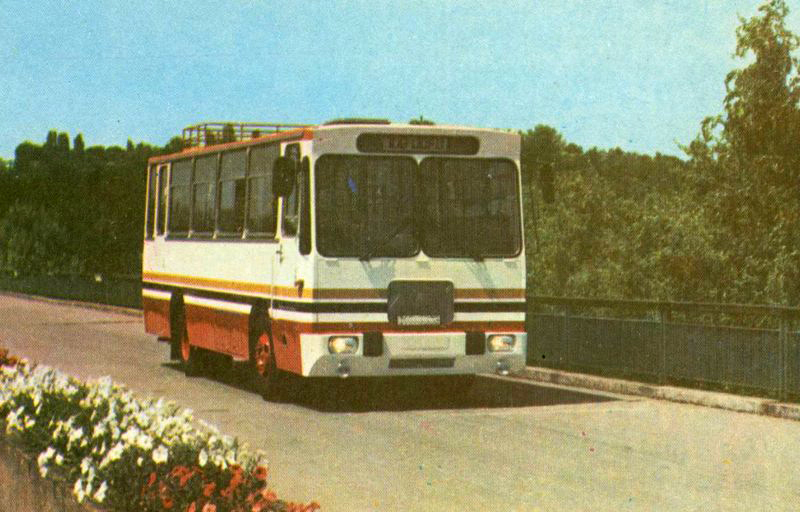 Built between 1979 and 1998. 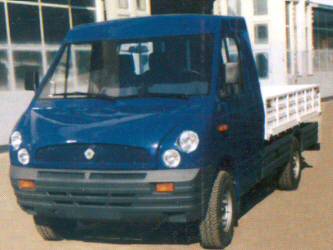 DAC UDAN 2002 – an attempt at modernizing the DAC 112 UDM by replacing the engine and transmission of the DAC 112 UDM with an Euro 2 compliant model, as well as modernizing the bodywork. 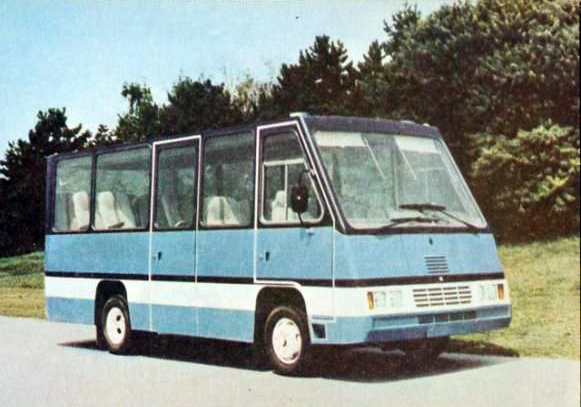 Only two were built before the project was deemed unsuccessful. Both are currently operated by RATB. 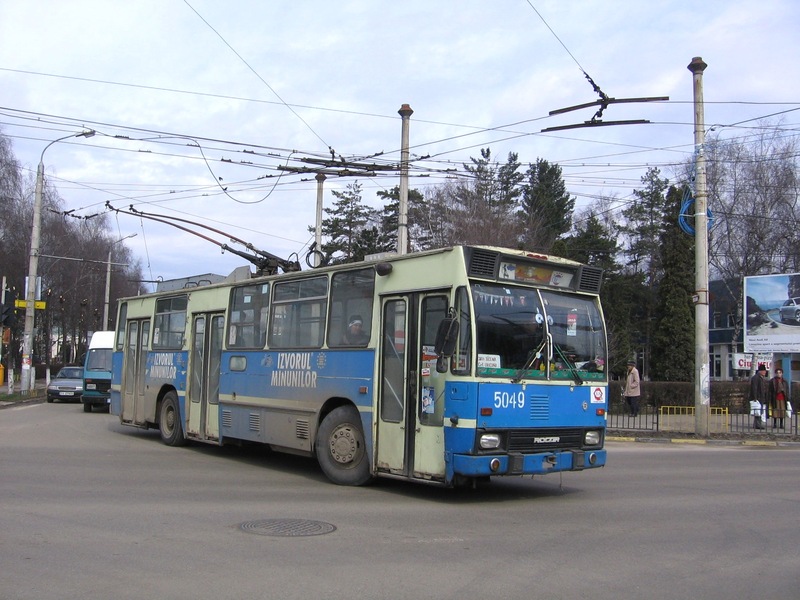 DAC 112 E – Standard trolleybus, powered by one 115 kW direct current motor. 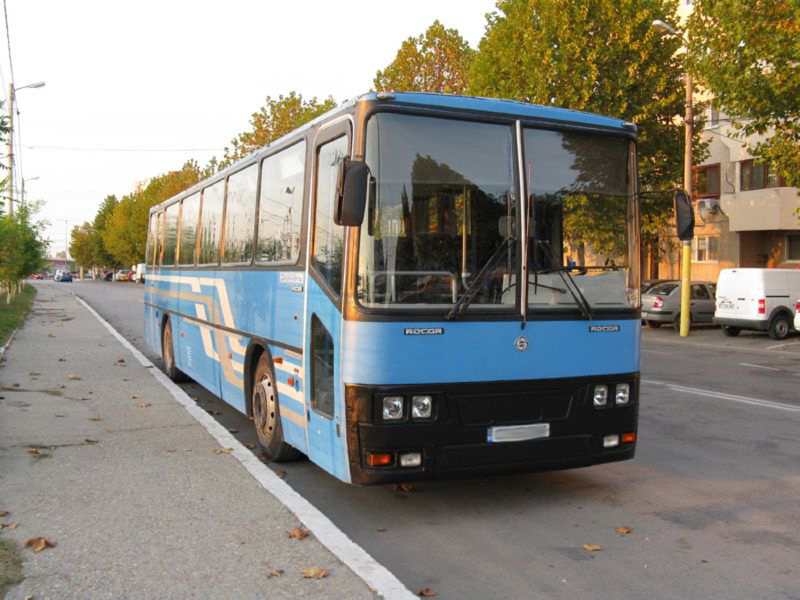 DAC 212 E – Standard trolleybus, powered by one 125 kW direct current motor. 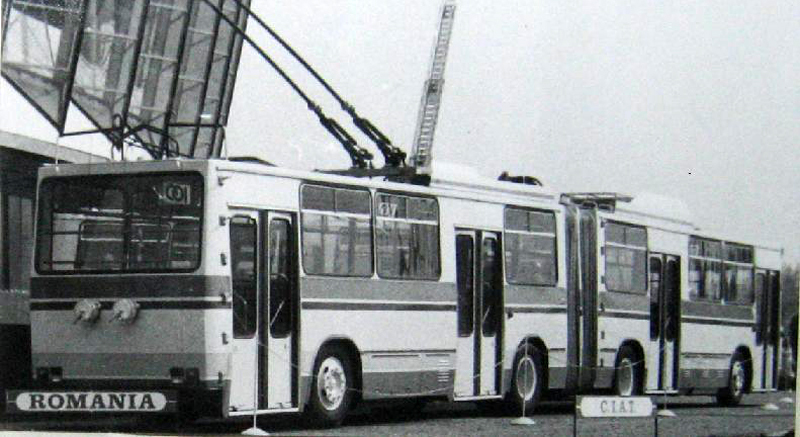 Outfitted with an electronic command system for its contactors. 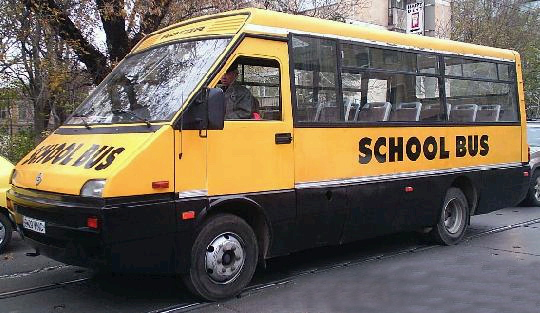 DAC 212 ECS – Same as DAC 212 E, but using a chopper system as a speed control. 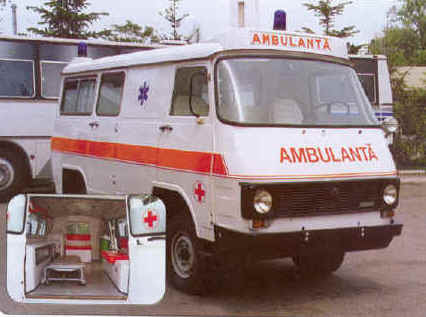 ECS stands for Electric Chopper System. 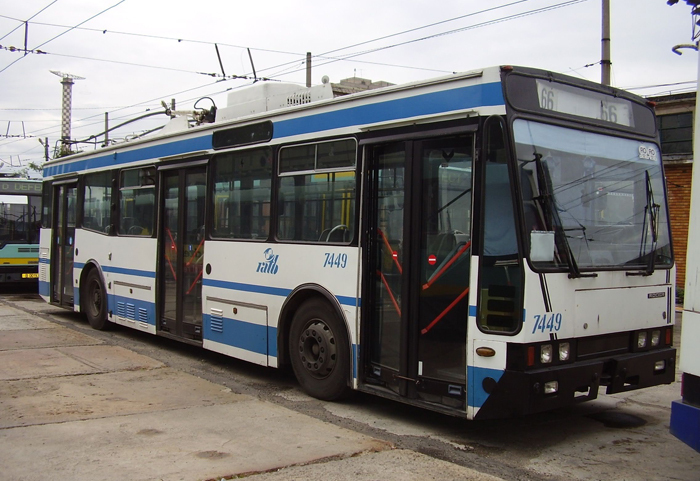 DAC 117 E(A) – Articulated trolleybus, powered by one 115 kW direct current motor. 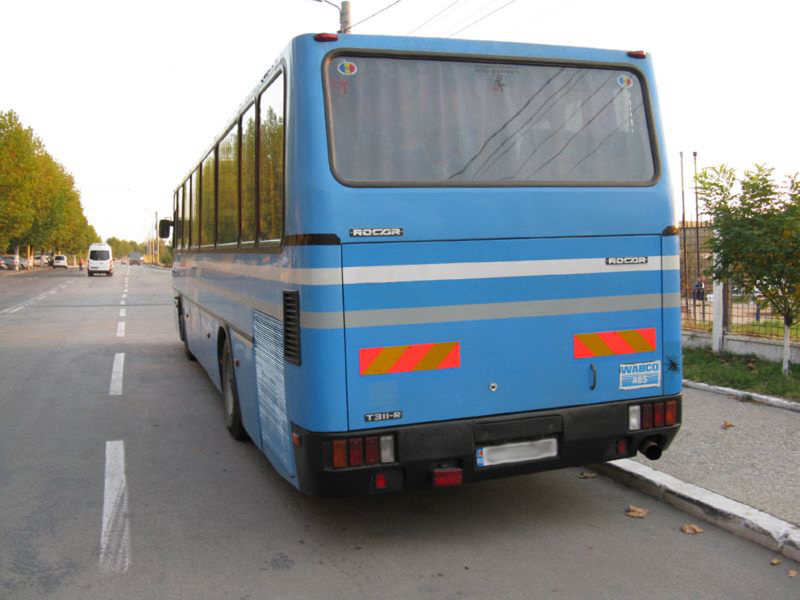 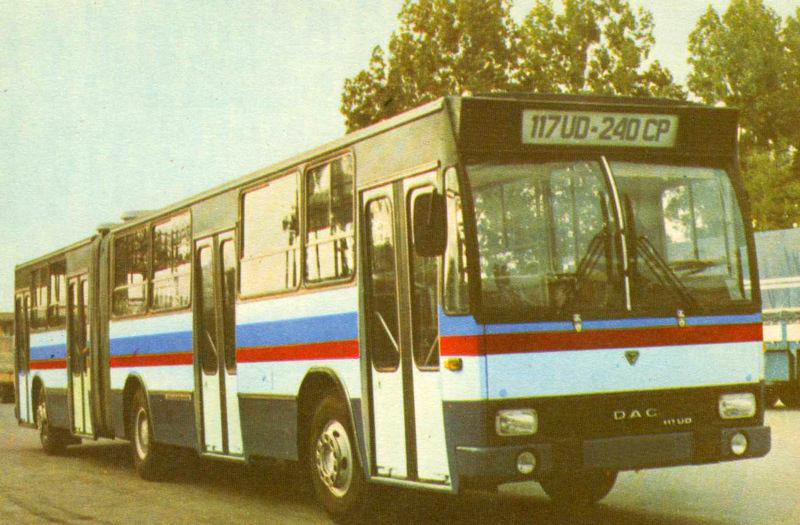 Although some operators called these vehicles DAC 117 EA (with A form ‘articulated’; some also called the articulated buses ‘DAC 117 UDA’), all the VIN plates of these vehicles shows the correct name (without the ‘A’). 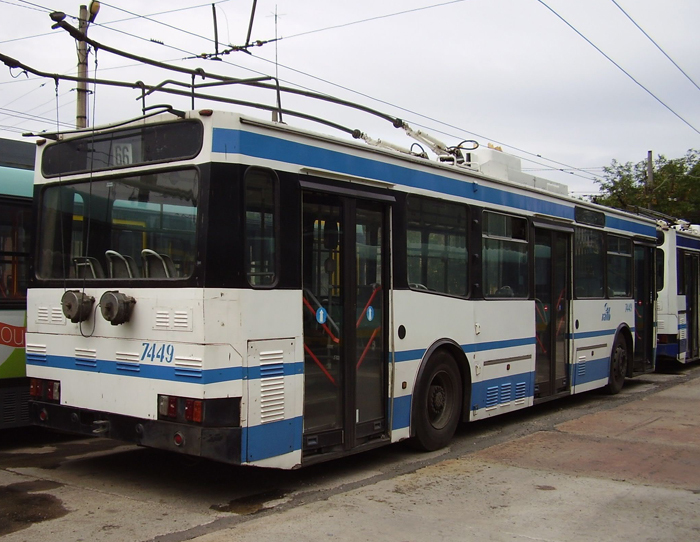 DAC 317 ETS – Same with DAC 217 E, but with the motor controlled by thyristors. 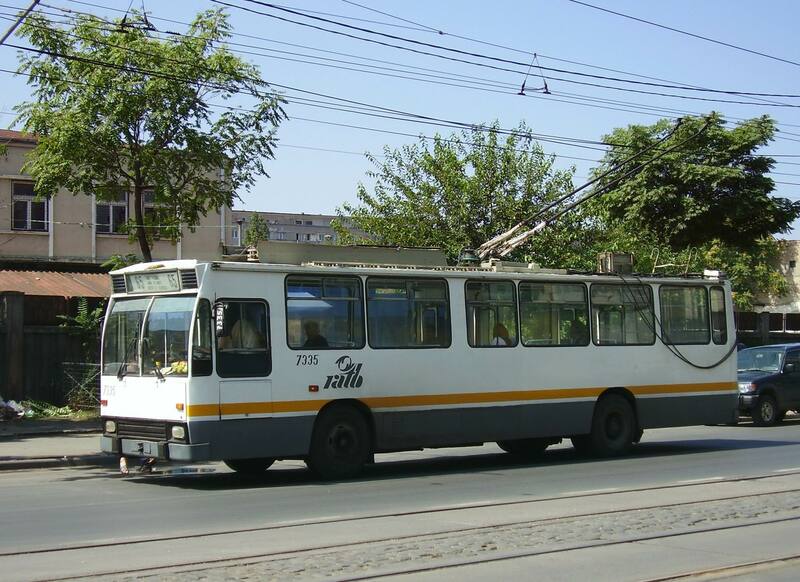 ETS stands for Electric Thyristor System. 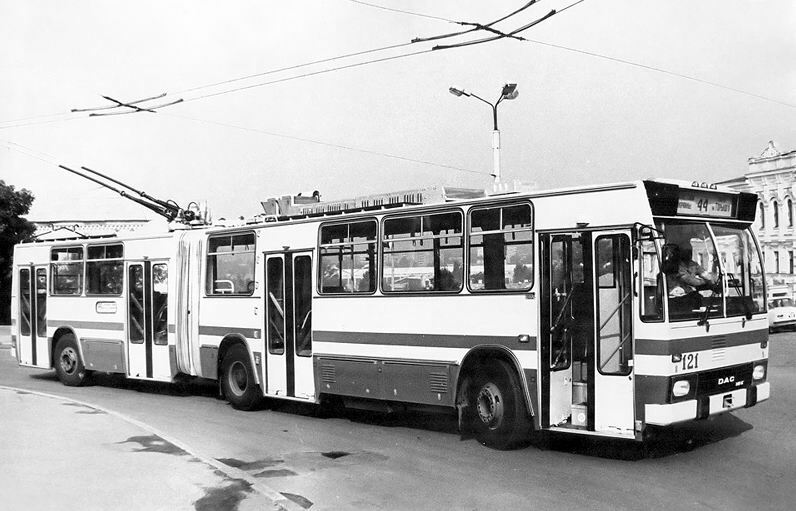 DAC 318 ET Tandem – Articulated trolleybus, powered by two DC motors, working in tandem. 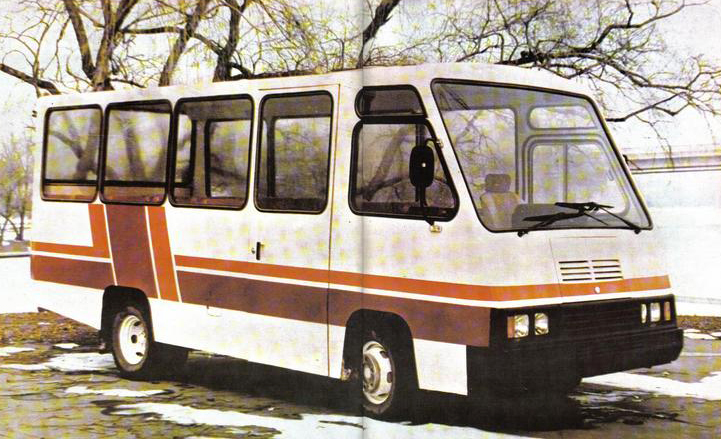 Only one prototype was built.